"A few semi-speakers left in 1987 [in Israel], and may be none now [as of 1996 or earlier]. There may be a handful of elderly speakers still in Turkey. There are less than 50 speakers (2011)." Yevanic, also known as Judæo-Greek or Romaniyot, is a Greek dialect formerly used by the Romaniotes and by the Karaite Jews of Constantinople (In this case the language is called Karaitika or Karæo-Greek). The Romaniotes are a group of Greek Jews whose presence in the Levant is documented since the Byzantine period. Its linguistic lineage stems from the Jewish Koine spoken primarily by Hellenistic Jews throughout the region, and includes Hebrew and Aramaic elements. It was mutually intelligible with the Greek dialects of the Christian population. The Romaniotes used the Hebrew alphabet to write Greek and Yevanic texts. The term Yevanic is an artificial creation from the Biblical word Yāwān referring to the Greeks and the lands that the Greeks inhabited. 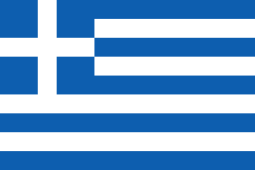 The term is an overextension of the Greek word Ἰωνία (Ionia in English) from the (then) easternmost Greeks to all Greeks. A small number of Romaniote Jews in the USA, Israel, Greece and Turkey have small knowledge of the Judaeo-Greek language. The language is highly endagered and could die completely out. There are no preservation programes to promote or to revive the language. The Jews have a place of note in the history of Modern Greek. They were unaffected by Atticism and employed the current colloquial vernacular which they transcribed in Hebrew letters. The Romaniots were Jews settled in the Eastern Roman Empire long before its division from its Western counterpart, and they were linguistically assimilated long before leaving the Levant after Hadrian's decree against them and their religion. As a consequence, they spoke Greek, the language of the overwhelming majority of the populace in the beginning of the Byzantine era and that of the Greek élite thereafter, until the fall of the Ottoman Empire. There was no reason for Ladino assimilation since the communities were either geographically apart or had different synagogues, and because their liturgies differed greatly. Rather, Ladino speakers were linguistically assimilated in Greek speaking areas and Ladino use dwindled to elderly jargon by the 50s. The term ‘Yavanitic Language’ is but a coined one. There is a small amount of literature in Yevanic dating from the early part of the modern period, the most extensive document being a translation of the Pentateuch. A polyglot edition of the Bible published in Constantinople in 1547 has the Hebrew text in the middle of the page, with a Ladino (Judaeo-Spanish) translation on one side and a Yevanic translation on the other. In its context, this exceptional cultivation of the vernacular has its analogue in the choice of Hellenistic Greek by the translators of the Septuagint and in the New Testament. ↑ Yevanic at Ethnologue (13th ed., 1996). ↑ Hammarström, Harald; Forkel, Robert; Haspelmath, Martin; Bank, Sebastian, eds. (2016). "Yevanic". Glottolog 2.7. Jena: Max Planck Institute for the Science of Human History. ↑ Spolsky, B., S. B. Benor. 2006. "Jewish Languages." In Encyclopedia of Language and Linguistics, 120-124. http://legacy.huc.edu/faculty/faculty/benor/Spolsky%20and%20Benor%20jewish_languages%20offprint.pdf. ↑ Vlachou, Evangelia, Papadopoulou, Chrysoula, Kotzoglou, Georgios. Before the flame goes out: documentation of the Yevanic dialect. 2014. Sponsored by the Latsis Foundation. ↑ Natalio Fernandez Marcos, The Septuagint in Context: Introduction to the Greek Versions of the Bible (2000) p 180. The Greek text is published in D. C. Hesseling, Les cinq livres de la Loi (1897). ↑ Lockwood, W. B. 1972. "A Panorama of Indo-European Languages." Hutchinson. London. Balodimas-Bartolomei, Angelyn, Nicholas Alexiou. 2010. "The Inclusion of Invisible Minorities in the EU Member States: The Case of Greek Jews in Greece." In Changing Educational Landscapes, 155-182. BimBaum, Soloman A. 1951. "The Jewries of Eastern Europe." In The Slavonic and East European Review, 29(73), 420-443. Davis, Barry. 1987. "Yiddish and the Jewish Identity." In History Workshop, 23, 159-164. Gold, David L. 1989. "A sketch of the linguistic situation in Israel today." In Language in Society, 13(3), 361-388. Krivoruchko, Julia G. 2011. "Judeo-Greek in the era of globalization." In Language & Communication, 31(2), 119-129. Naveh, Joseph, Soloman Asher Bimbaum, David Diringer, Zvi Hermann Federbsh, Jonathan Shunary & Jacob Maimon. 2007. "Alphabet, Hebrew." In Encyclopaedia Judaica, vol. 1, pp. 689-728. Spolsky, Bernard, Elana Goldberg Shohamy. 1999. The Languages of Israel: Policy, Ideology, and Practice. Multilingual Matters. UK. Spolsky, Bernard. The Languages of the Jews: A Sociolinguistic History (Cambridge: CUP, 2014). Ch. 11, "The Yavanic area: Greece and Italy" (pp. 159–170; notes on pp. 295sq. ).